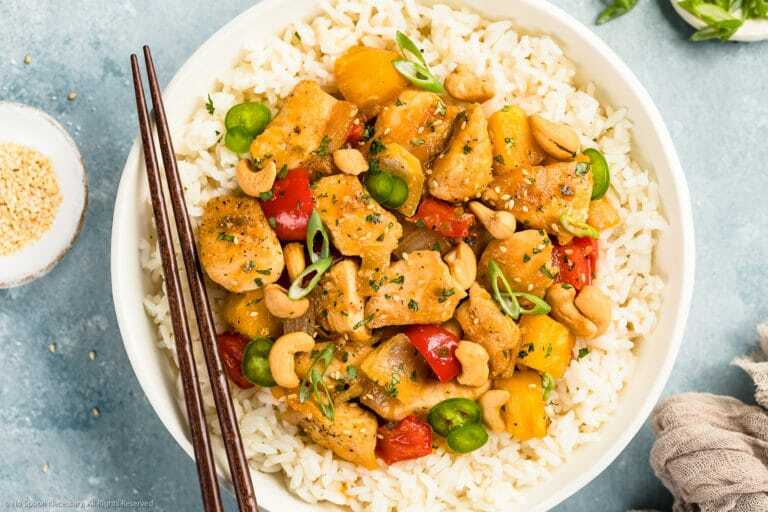 Successfully saved Apricot Chicken Recipe to your Calendar. You can also save the ingredients to your Grocery List. This easy apricot chicken is sweet, tangy, sticky and full of flavor! Stir-fried with onions, peppers and pineapples, and ready in 20 minutes or less, this chicken is a delicious way to spice up boring dinners!